The E Type Jaguar is often regarded as the most beautiful car ever built. This car is one of two built by Massachusetts-based Donovan Motorcar Services for Jaguar North America in 2003. 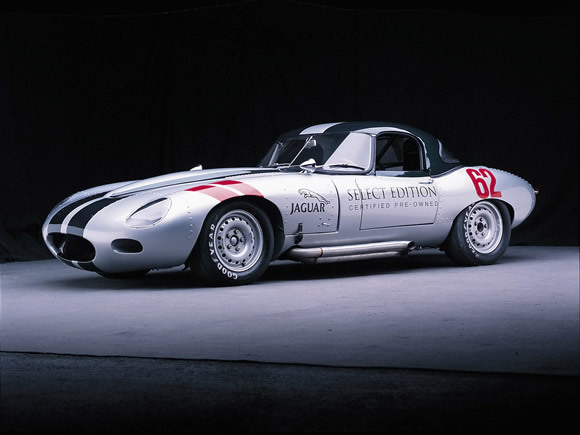 They teamed up to build the two race cars as 400-horsepower high-speed billboards for Jaguar's award-winning Select Edition Certified Pre-Owned vehicle program. Nice.